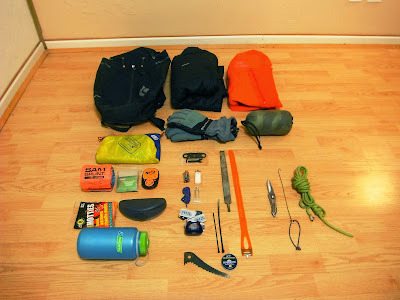 Everything I might need while climbing a multi-pitch ice climb. I need to bring some essentials up with me on any mutli-pitch ice climb. If the hike in to the ice is significant, I'll normally bring a larger pack with extra layers, a thermos of hot tea, and anything else I want but don't need on route. I then leave that large pack at the base of the climb and take up my smaller guide's pack with important things for the route. Here is a list of what comes up on most routes with me and its purpose. 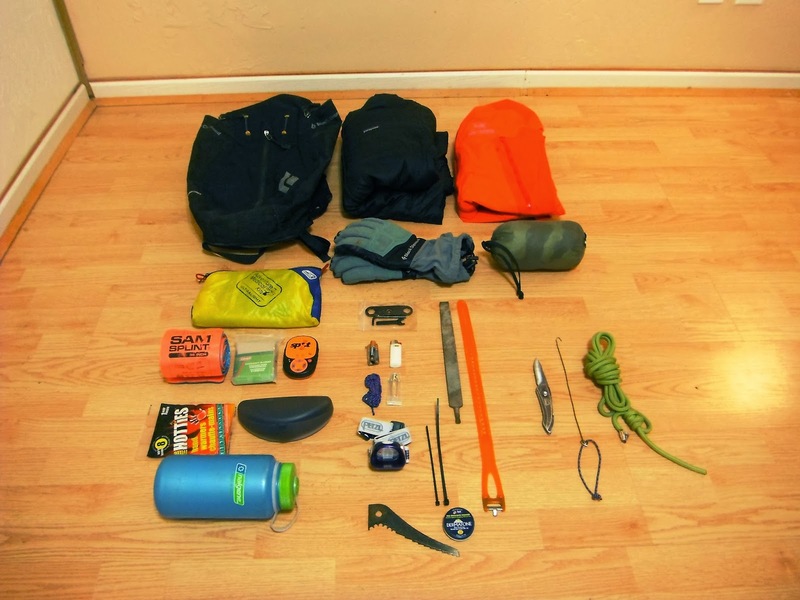 Pack - Black Diamond Hollowpoint: My well loved Hollowpoint has 22 liters of storage and is just the right size to carry everything I could possibly need up a route. Key features include the way the pack is designed to keep weight close to my back and arms free for full range of motion. I'm also a big fan of the small webbing hip belt to keep the pack very secure. Belay Puffy - Patagonia Micro Puff Hoody: To trap in all the body heat I earned after climbing a pitch, and therefore keep from freezing at the belay. The thickness of this piece can depend upon the conditions, but the Micro Puff I use is quite thick for long cold belays. But it is really too thick to climb in on most days due to overheating. Something like the Patagonia Nano Puff Hoody is a better call for wearing while climbing fast or on warmer days so you don't overheat. Waterproof Shell Jacket - Arc'teryx Alpha SL Hybrid Jacket: Most days its cold and any precipitation is quite frozen so I'm using a soft-shell top and bottom. But if the route starts to drip or it begins to rain I'll want at least a waterproof top to fend off the wetness until I get back to the car. I had been using the Arc'teryx Alpha SL but upgraded to the Hybrid model this past summer. This model uses a more durable fabric on the shoulders and elbows while remaining an ultralight 12.9 ounces. Belay Gloves - Black Diamond Enforcer Glove: The actual glove I use most days is a really old BD punisher glove that's still holding up well, before they changed that style dramatically. The new Enforcer is the closest comparison in a warm belay glove. I swap out my lead gloves for this warmer glove that has been stashed in my jacket staying warm. This protects my lead gloves from getting torn up by the ropes while belaying, and gives them a chance to dry out a little in my jacket utilizing my body heat. Bivy Sack - Black Diamond Twilight Bivy: A 10oz emergency shelter that works well to keep someone warm and dry if injured and awaiting an evacuation, or if I have to spend the night in a remote location. First Aid - Bandages, SAM Splint, tape, hot-hands warmers, emergency blanket, lighter: All you need for basic stabilization of an injured climber, or to attack frostbite on some cold fingers. SPOT Device: This is something I've started to bring with me on every trip, more so for the OKAY feature than for the emergency response activation. If we get benighted out in the mountains or are running late, I want a way of telling my emergency contact that we're okay and not to activate an emergency rescue. I don't want to be the guy that unnecessarily gets all my volunteer mountain rescue friends up in the middle of the night! Repair Kit - Crampon tools, ice axe tool, spare ice pick, headlamp, spare batteries, cord, safety pins, zip ties, ski strap, file: Not all of these things come up with me on a multi-pitch route near the road, but for anything more alpine in nature I'll want most of this to keep my gear functioning if it starts to break down. The ski strap has many unforeseen uses like adding a pinky rest to an ice tool, or holding a SAM splint on a fractured limb. V-thread kit - 20 feet or so of 6mm cord, v-threading tool, knife, 22cm Black Diamond Express Ice Screw: Once you've finished the route (or decided to bail) you'll need to get down, which often involves rappelling the same route utilizing abalakov or "v-thread" anchors. A threading tool can be manufactured at home from a clothes-hanger like mine, or there are commercial model's available. I really like my Buck "Whittaker" edition knife I got as a kid when I was just dreaming of being a climber. I still use it because of the nifty carabiner clip and locking mechanism. Miscellaneous - Sunglasses in hard case, Dermatone tin, water bottle: My Julbo Dust Sunglasses stay on my face most of the day due to their photocromic Zebra lenses adjusting to light conditions, but if I need to stow them away I'm going to put them in a hard case. They're just too nice to throw in the pack naked. Some sun and wind protection from Dermatone for the face and lips is always at hand in my pocket where it won't freeze. Not pictured - Camera, food, water bottle parka, thermos: If its cold enough I'll need to keep my fluids from freezing with a water bottle parka. Or I'll need hot tea in a thermos to keep the psyche up. There will always be the compromise between fast and light vs. slow and prepared. For any given objective this list gets parred down or beefed up based on route conditions, weather, and my psyche level. You have to decide what makes sense for you to bring on any given objective. Happy climbing! wet conditions on the Standard Route WI 3, Frankenstein Cliffs, NH. Glad I packed the waterproof shell. --ADN.com is reporting that, "An Anchorage resident died Saturday morning when she was caught in an avalanche in British Columbia, according to Canadian police. Amy Downing, 32, was the woman who died in the Saturday avalanche, said her brother Jared Downing. Royal Canadian Mounted Police officials in Nelson, B.C., hadn't formally released Downing's name Monday, but described the victim as a 32-year-old woman." To read more, click here. --The Revelstoke Review has an interesting report on an avalanche that took place in Revelstoke to a dog-walker. The victim -- who survived mostly uninjured -- has a lot of mountain experience, but the avalanche came from a place she didn't consider to be avalanche terrain... To read more, click here. --KSL.com has a report on a group of Utah skiers that survived an avalanche the Selkirks of British Columbia. To read the story, click here. --The North Cascades National Park is planning several open houses about the possible grizzly bear reintroduction. To read more about this, click here. --The Seattle Times has published a nice profile on DOT avalanche forecasters for the I-90 corridor. To read the piece, click here. --Powder Magazine is reporting that, "Squaw Valley Alpine Meadows released a statement early Tuesday that 'a fatal incident occurred at Squaw Valley involving a ski patroller at 8:35 a.m. this morning during avalanche control activities.'" It appears that Joe Zuiches was killed by an explosive while doing avalanche control work. He is survived by a wife and young son. Read more, here. Find a Go Fund Me site for Joe's wife and infant son, here. --The Sacramento Bee is reporting that, "Two men posted a picture online of themselves trapped under the snow after an avalanche early Monday morning engulfed their car on Highway 89. The avalanche between Alpine Meadows and Tahoe City caught the car in its path, the California Highway Patrol noted on its traffic incident website." To read more, click here. --A massive rock slide came down over the road just north of the Zion Lodge in Zion National Park on Friday. To read more, click here. --Anonymous sources told Reuters News Service that the Steamboat Ski Area is up for sale. To read more, click here. --Yahoo News is reporting that, "The number of bodies recovered from the ruins of an Italian hotel buried by an avalanche rose to 24 on Wednesday, local authorities said. Another five people were still unaccounted for, presumed dead, as a result of the January 18 disaster, which saw the Hotel Rigopiano ripped from its foundations by the force of a wall of tree and mud-packed snow hurtling down the hillside into which it was built." To read more, click here. --Legendary snowboarder Jeremy Jones was in an accident in Utah's backcountry last week. The accident resulted in multiple broken bones and a Life Flight for emergency surgery. This was an extremely expensive flight and there is Go Fund Me site set-up to help Jeremy pay for his flight. To read more and to donate, click here. --The CEO of Burton Snowboards, Donna Carpenter, funded employee trips to Washington DC last week for the Women's March on Washington. ESPN is reporting that, "Carpenter is taking her commitment to the protest a step further. On Jan. 5, she sent an email to all of Burton's female employees, offering to fund and lodge anyone interested in joining her in D.C. She closed the email by saying, "Thanks for being the most inspiring women in the world to me." To read more, click here. --On a related note, the Trump Administration shut down all NPS Twitter feeds following a tweet of a photo of two crowds, one at the Obama Inauguration and one at the Trump Inauguration. Twitter was restored a few hours later. To read more, click here. --And in yet more NPS Twitter news, the Badlands National Park Twitter feed went rogue on Tuesday, before deleting all tweets. The White House has scrubbed all information pertaining to climate change from its website. Somebody from Badlands wasn't having it and began to tweet our climate change facts from the NPS account. Many believe that this was an act of civil disobedience in light of the new objectives of the Trump Administration. To read more, click here. --In one final piece about how the new administration is affecting the management of public lands, it has been noted that many are concerned about how wildfires will be fought in light of an executive order that has frozen hiring in federal agencies. The Missoulian reports that, "in 2015, the Forest Service hired about 11,000 seasonal workers. At least 6,200 of those were firefighters or had firefighting-related duties. But many were for positions such as logging sale analysts, trail maintenance workers, and forest rangers." To read more, click here. --Here's a report on the fatal avalanche that took place in Glacier National Park on January 5th. 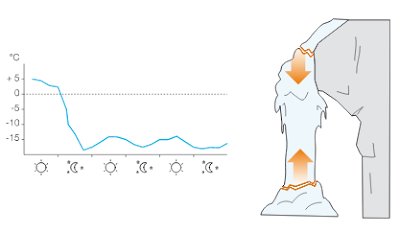 --Petzl has posted an excellent piece on why ice climbs collapse and what conditions are best to avoid this kind of activity. To read the article, click here. --SNews has an excellent profile on the mastermind behind last year's OR/GQ spoof. "Last September, Outdoor Research lit up the industry’s collective social media feeds with a spot-on parody of a recent GQ fashion spread. 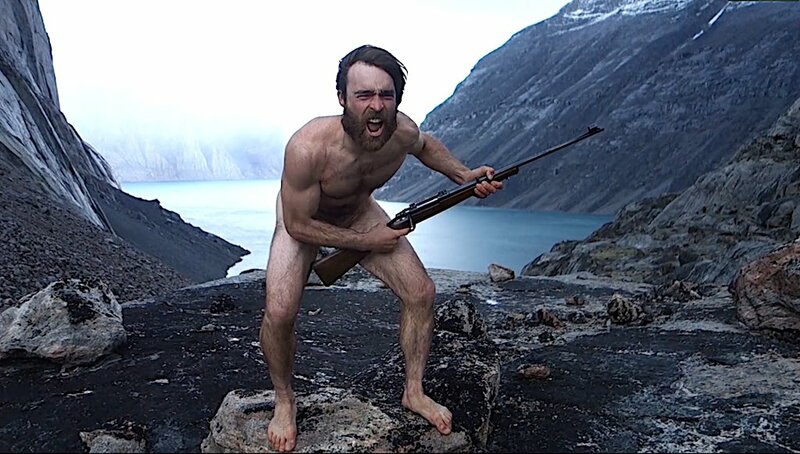 Instead of the original’s images of men climbing at Joshua Tree in $800 sweaters while their female friends looked on, Outdoor Research’s shot-for-shot version showcased three female climbers and their half-naked male cheering squad. 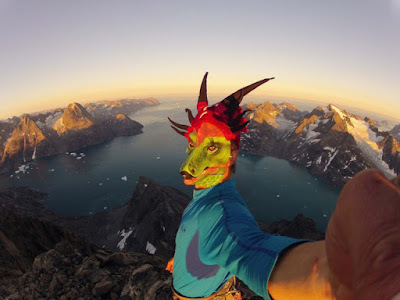 Christian Folk, who has been with Outdoor Research for nearly 10 years, was one of the masterminds behind that spoof—which he estimates got “somewhere in the neighborhood of 50 million impressions”—as well as several other grassroots marketing campaigns." To read more, click here. 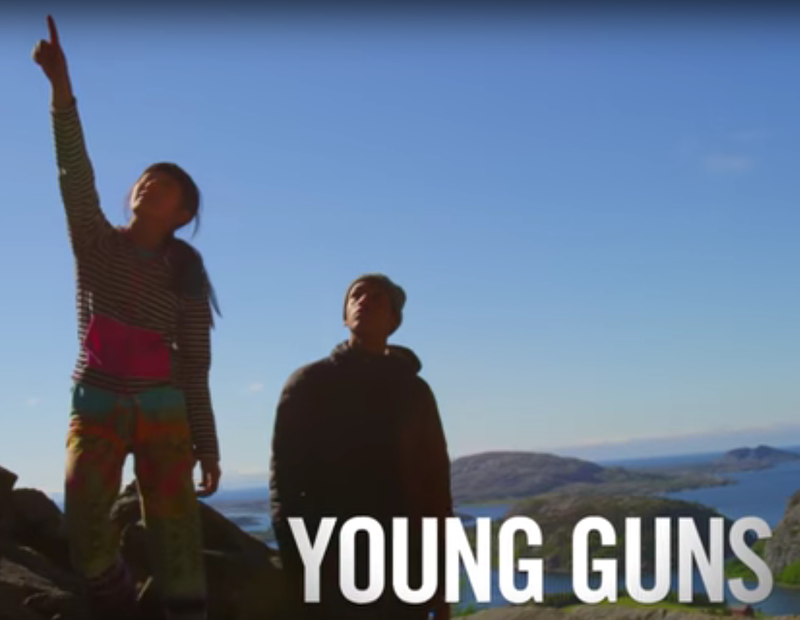 --So there is a climbing gym in Great Britain with x-rated climbing holds. To read about it, click here...but beware, while some images are blocked out, it's still not really a safe for work post. --Malia Obama made a secret trekking trip to Bolivia and Peru recently. The New York Times is reporting that, "the Bolivian guides were convinced it was the blonde. It had to be the blonde. American Embassy officials in November had told three brothers who led guided hikes across Bolivia’s majestic Cordillera Real mountain range that they would soon be hosting an important American dignitary. When a group of teenagers and a small band of American bodyguards showed up on Nov. 24, it wasn’t apparent to the guides that it was the president’s elder daughter, Malia Obama, and not a blond companion, who warranted the extraordinary security measures." To read more, click here. --The Alpine Mountain Ski Area in Pennsylvania is for sale. To read more, click here. Rocky Mountain National Park received its highest annual visitation in 2016. The park received a total of 4,526,335 visitors for 2016, which was an 8.68 percent increase over record visitation in 2015. All months in 2016 set visitation records except for December. This visitation represents a 32 percent increase since 2014, and a 40 percent increase since 2012. Determining visitation is a difficult and imprecise effort. Visitation statistics are reliably accurate estimates and help park managers see overall trends. Fall visitation, particularly on weekends, continues to increase at Rocky Mountain National Park. Winter weekend visitation also continues to increase. The top ten busiest days in 2016 in order from first to tenth were: September 24, July 3, September 4,September 17, July 24, July 10, July 17, September 5, July 23 and July 30. 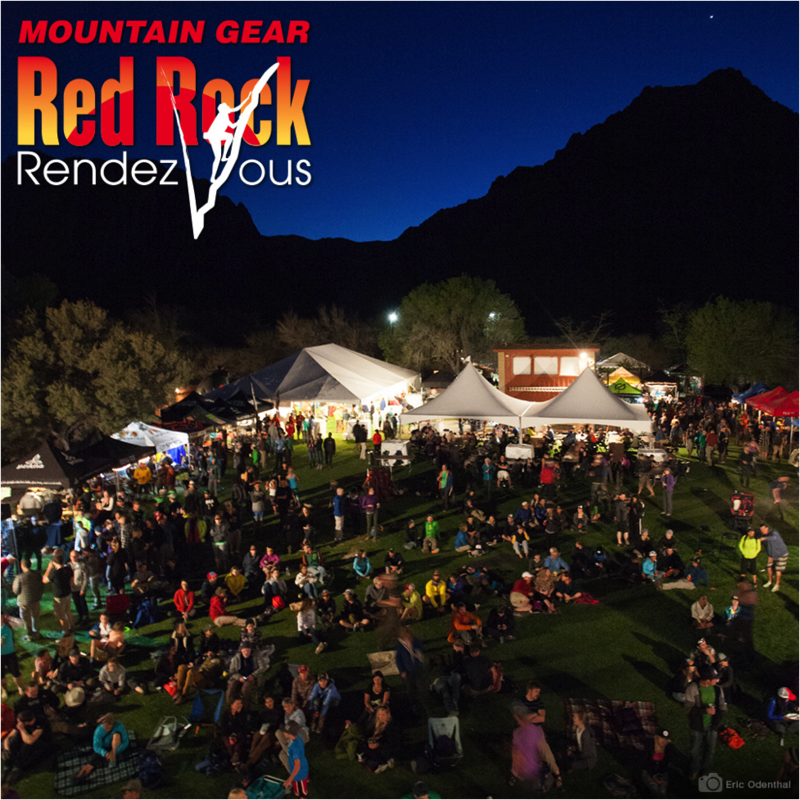 The American Alpine Institute will be a primary sponsor of the 14th Annual Red Rock Rendezvous in Red Rock Canyon just outside of Las Vegas. This will be the twelfth time that our guides will be involved, teaching clinics and partying alongside everyone else at the event. This year our guides will be running multi-pitch climbing trips throughout the event and beginner to advanced climbing programs on March 24th. 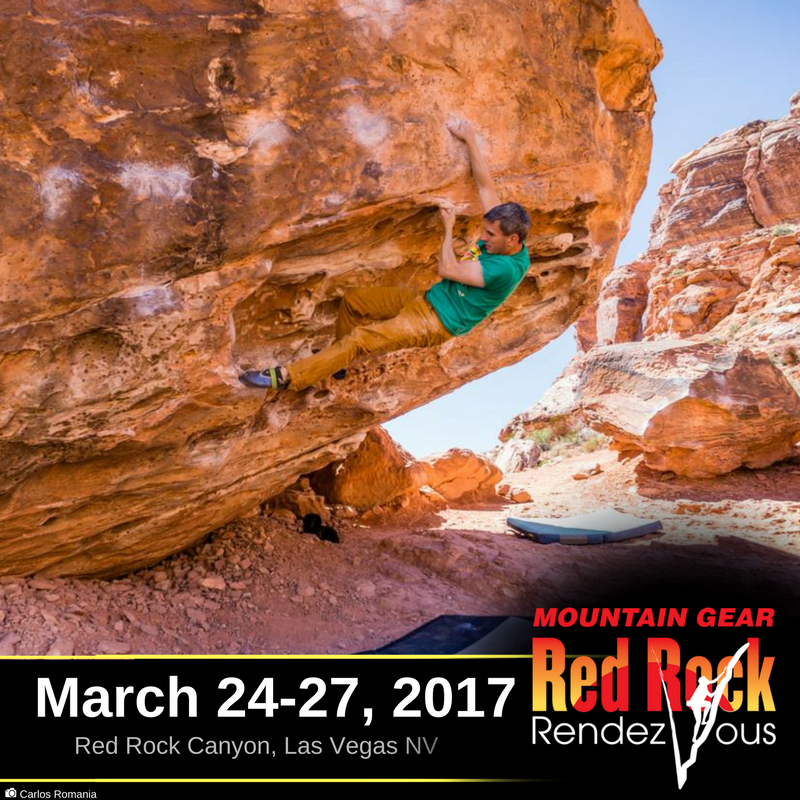 They will also be teaching a variety of programs on the March 25th and 26th; and will be running all day multi-pitch climbing programs on the 27th. Major climbing athletes make their way out to the Mojave Desert for the Rendezvous every year. Big names at the event include the likes of Beth Rodden, Peter Croft, Katie Brown, and Andreas Marin. But some of our best guides will also be on hand. These include people like Mike Powers, Richard Riquelme, Alasdair Turner, Ian McEleney, Paul Rosser, Ben Traxler, Mike Pond, Andrew Yasso, Chad Cochran, Dustin Byrne, Ben Gardner, Tad McCrea, Doug Foust, Quino Gonzalez, Britt Ruegger, Jeremy Devine, Jared Drapala, Will Gordon, Justin Moynihan, Jenny Merian, Zach Lovell, Jim Mediatore, and Dave Richards. 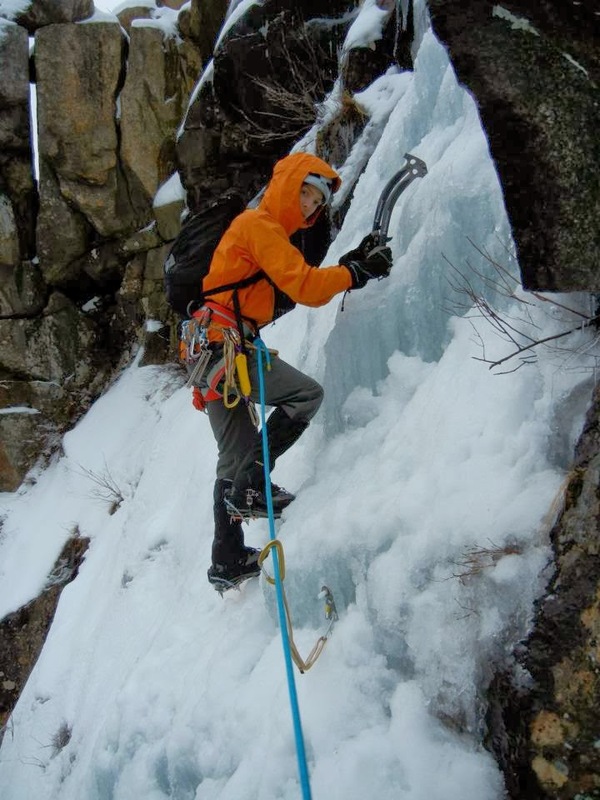 --Former AAI Guides Kurt Hicks and Mark Allen made the first ascent of Crater Creek Falls (WI4+, III) on Mt. Si. This is possibly the closest ice climbing to the Seattle metropolitan area. However, it's seldom cold low enough, long enough for something like this to form. To read more and to see a route description, click here. --Some Squamish climbers sent a variation to the Ultimate Everything (5.10b, IV) last week all on ice... To read about it, click here. --Speaking of Squamish, access at the popular climbing area may be under threat due to a lack of parking. To read more, click here. --Unofficial Networks reported last week that, "Mount Shasta, California, home of the world record for a single dump (189 inches in February 1959) is getting pounded by a storm of biblical proportions. NOAA is predicting as much as 18 feet of snow could fall on Mt. Shasta over 4 days and as much as 22 feet in a 7 day timeframe. Here is a day-by-day breakdown from the National Weather Service." To read more, click here. --Gripped is reporting on Fred Becky's 94th birthday. "Fred Beckey is one of the world’s most accomplished climbers and turned 94 on Jan. 14, 2017. Born on Jan. 14, 1923, Friedrich Wolfgang Beckey has established new routes all around the world, authored a number of best sellers and continues to get out into the mountains." To read more, click here. --It appears that the Forest Service is considering some kind of system to limit backcountry use in Oregon's Three Sisters Wilderness. To read more, click here. --Arizona's 3 TV News is reporting that, "a difficult rescue ended Sunday when crews managed to reach an injured mountain climber stranded in steep, rugged terrain west of Sedona. It took more than three hours to reach the man who was incapacitated in the area of the Capitol Butte and Thunder Mountain trails in the Coconino National Forest." To read more, click here. --The Las Vegas Review-Journal is reporting that, "A local environmental nonprofit is invoking Nevada’s anti-SLAPP law in an attempt to dismissal lawsuit filed last month by Clark County, according to a court motion filed Monday. Save Red Rock attorney Justin Jones said the lawsuit, filed in Clark County District Court, could bar the nonprofit from testifying at County Commission meetings against a plan to build about 5,000 homes atop Blue Diamond Hill, located near the Red Rock Canyon National Conservation Area." To read more, click here. --Climbing magazine has published an article that explains all the ins and outs of the housing development issue. To read the article, click here. --It's amazing how fast a climber squabble can blow up online. A pro boulderer (Courtney Sanders) posted a photo of her climbing after a rainstorm on sandstone in Red Rock Canyon on Instagram. This is a questionable activity given the fragility of sandstone and the local ethics. She was called out on her activity and then her husband -- also a pro boulderer named Daniel Woods -- got involved, and things went downhill from there. There was a full-on flame war and even threats of violence. Much of the material online was deleted, but the original poster eventually apologized. Daniel Woods also made an attempt to apologize, but did it in an extremely passive aggressive way. His "Sorry, Not Sorry" apology is still burning up Red Rock locals Facebook pages. To read an article about this skirmish, click here. There's also a conversation about this incident, here. --A skier in Breckenridge died of a skull fracture after skiing into a tree. To read more, click here. --A backcountry skier was swept down a slope and over a 25-foot cliff near Silverton this week. The skier was buried under four-feet of snow. Thankfully, an avalanche educator happened upon the scene and rescued the skier. To read more, click here. --A Mountain Rescue team member was swept away in an avalanche last week and seriously injured. To read more, click here. --The Denver Post is reporting on the statistics behind US in-bounds skier fatalities. "The average person who died on the slopes of U.S. ski resorts during the 2015/2016 season was a 30-something experienced male skier wearing a helmet who hit a tree going too fast on an intermediate run, according to the National Ski Area Association’s annual report on safety." To read more, click here. --An avalanche buried an Italian ski resort! --The Vail Daily is reporting that, "Two snowboarders were rescued late Wednesday night after becoming buried and seriously injured in an avalanche on a backcountry slope near the Smith and Morehouse Reservoir in the Uinta-Wasatch-Cache National Forest." To read more, click here. --Twin Cities Pioneer Press is reporting that, " Minnesota climber and adventurer Lonnie Dupre narrowly escaped disaster during his attempt this past week to solo-climb Alaska’s Mount Hunter. Dupre, 55, of Grand Marais broke through a crevasse on his retreat from the 14,573-foot mountain and hung by a single ice axe for several minutes with his feet dangling beneath him, he said." To read more, click here. --The HuffingtonPost is reporting that, "Patagonia last year spent $1 million on a get-out-the-vote campaign, completely shut down its operations on Election Day and donated all $10 million it earned on Black Friday to environmental causes. Now, the high-end outdoor apparel retailer is gearing up to battle Utah officials’ plan to roll back President Barack Obama’s designation of a new national monument in the state. The company this week threatened to pull out of Salt Lake City’s biannual Outdoor Retailer Show, a trade show that brings in 45,000 visitors spending more than $40 million each year." To read more, click here. --Yvon Chouinard has written an editorial at the Patagoinia blog, The Cleanest Line about Patagonia, the outdoor industry and Utah. " The outdoor industry creates three times the amount of jobs than the fossil fuels industry, yet the Governor has spent most of his time in office trying to rip taxpayer-owned lands out from under us and hand them over to drilling and mining companies. And just a few days ago, the state announced plans to sue the federal government to reverse the recent protection of Bears Ears, a site containing thousands of years of Native American archeological treasures and craggy red rocks beloved by climbers from all over the world. Politicians in the state don’t seem to get that the outdoor industry—and their own state economy—depend on access to public lands for recreation." To read the complete editorial, click here. --The Access Fund is reporting that, "The Red River Gorge Climbers’ Coalition (RRGCC) and Access Fund, with assistance from Trango Climbing Gear, are thrilled to announce the purchase of the Bald Rock Recreational Preserve in the Red River Gorge of Kentucky. This acquisition secures access to a popular set of world-renowned climbing areas—including the Motherlode, the Chocolate Factory, the Bear’s Den, and the Unlode. The 102-acre acquisition secures access to these areas for climbing and land conservation." To read more, click here. --The Access Fund is also reporting that, "Rumney Climber’s Association (RCA) and Access Fund are excited to announce that we have completed the second phase of protecting Rumney’s Northwest Crags (aka the Final Frontier). In just under a year, the climbing community rallied to raise over $100,000, and RCA now owns the 85-acre property. Access Fund provided RCA with two loans to cover the gap in the purchase price, which RCA will pay back after they transfer the property to White Mountain National Forest." To read more, click here. --Senator Lisa Murkowski (R - Alaska) mentioned climbing access in her opening statement in the Ryan Zinke confirmation hearing in Washington DC. Zinke is being considered for the position of Secretary of the Interior. To see the clip, click here. In order to maximize opportunities for public input, webinars are scheduled for Tuesday, February 14 from 11 a.m.-1 p.m. Pacific Time and Sunday, February 26 from 5 p.m.-7 p.m. Pacific Time. For more information about the open houses and to register for the webinars, visit: http://parkplanning.nps.gov/grizzlydeis and click on the “Meetings” link. The U.S. Fish and Wildlife Service works with others to conserve, protect, and enhance fish, wildlife, plants, and their habitats for the continuing benefit of the American people. For more information, visit www.fws.gov/pacific/, or connect with us through any of these channels: www.facebook.com/USFWSPacific,www.tumblr.com/blog/usfwspacific, www.flickr.com/photos/usfwspacific/, or https://twitter.com/USFWSPacific/. --Spokane-based skier, Danny Miller, has skied every month for 23-years. To read more, click here. --USA Today is reporting that, "A massive winter storm forced officials to temporarily close Crater Lake National Park on Tuesday. Oregon's only national park was pounded with heavy snow and high winds during the past few days, resulting in the uncommon closure on Tuesday of what's often called one of the "snowiest inhabited places in North America." To read more, click here. --It appears that a mining project that would have impacted Mazama climbing will not happen. Read more, here. --The Los Angeles Times is reporting that, "Two backcountry skiers escaped uninjured Thursday after being caught in an avalanche that closed the state highway between Reno and Lake Tahoe in a part of the Sierra Nevada where as much as 6 feet of snow has fallen over the past four days." To read more, click here. --The Los Angeles Times is also reporting that, "ski resort operators are looking for crowds of near record size — with price increases to match. Storms have dumped up to 7 feet of snow on some peaks in as little as 48 hours." To read more, click here. descended from the Whitney region they encountered chest deep snow! --On Friday, all non-essential employees were evacuated from Yosemite Valley amid flooding fears. To read more, click here. --A controlled avalanche hit several houses in Alpine Meadows this week. To read more, click here. --Fox News Travel is reporting that, "Although the U.S. marked its national parks centennial in 2016, the end of celebratory free passes hasn't kept visitors from flooding into Utah's Zion National Park, some 160 miles from Salt Lake City. Park officials report that while winter is usually the slow season at Zion, the 2016-2017 winter is seeing so many travelers coming to the park that there have been traffic backups on the road leading into the site. The Associated Press reports that Zion is set to hit four million visitors in 2016 (final numbers are being tallied now), and that some cars have been exempted from the $30-per-vehicle park fee in order to speed up the queue and keep it from spilling over into the nearby town of Springdale." To read more, click here. --ABC News is reporting that, "Authorities say one of two missing backcountry skiers who were found in the central Colorado mountains died while he was being treated for hypothermia. The Lake County Office of Emergency Management posted on its Facebook page that Brett Beasley and a boy he was skiing with were found near Turquoise Lake west of Leadville on Thursday afternoon. The boy, whose name and age have not been released, was uninjured and was taken from the area on a snowmobile to be reunited with his family. Beasley was treated for hypothermia but did not survive." To read more, click here. Mickey Wilson slacklining on a lift cable to save an unconscious man. It's not clear if Mickey was wearing ski boots when he did this. --So a guy got his backpack straps caught in a chairlift in Arapahoe Basin and got dragged back up by the neck. He went unconscious after the lift stopped. A rescue team tried to make a human pyramid to rescue him, but kept slipping. That's when Mickey Wilson sprung into action, climbed up a tower and SLACKLINED (you read that right!) across the cable to cut the victim down, saving his life. To read more, click here. To see a video of the victim being cut down, click below. --In more Arapahoe Basin news, the resort shut down on Tuesday amid avalanche concerns at Loveland Pass. To read more, click here. --Rock and Ice is reporting that, "Chris Snobeck, of Colorado, has made the third ascent of Saphira in Vail's Fang Amphitheater—a climb considered to be the hardest mixed route and only M15- in the United States. With his ascent, Snobeck became the second American to climb M15-. Moreover, he climbed the route twice." To read more, click here. --The Flathead Beacon is reporting that, "A 36-year-old Kalispell man was killed Thursday in an avalanche while backcountry skiing on Stanton Mountain in Glacier National Park, officials confirmed. Authorities have not released the name of the victim pending notification of next of kin." To read more, click here. --WCVB in Vermont is reporting that, "A longtime Killington Resort mechanic died from injuries after police say he fell over 10 feet inside a gondola terminal." To read more, click here. --The GOP House has recently changed the rules concerning the way that federal lands are transferred, making it much easier to sell off public lands to private entities. This is a very disturbing move that could have a far reaching impact on outdoor recreationalists of all stripes. To read more, click here. --On a related note, Peter Metcalf, the CEO of Black Diamond, wrote an editorial for the Salt Lake Tribune where he argues that it's time for the Outdoor Retailer show -- a show that brings 50 million dollars in direct spending -- to leave Utah. "Over the past several months Utah's political leadership has unleashed an all-out assault against Utah's protected public lands and Utah's newest monument. It's time for Outdoor Retailer to leave the state in disgust." To read more, click here. --We often forget how important ski patrollers are in keeping us safe when we ski in-bounds. They manage avalanche hazard, patrol for dangerous skiers and boarders, set boundaries to keep people out of dangerous areas and provide first aid. In Montana last week, Big Sky Patrollers were responsible for bringing a snowboarder back from the dead, before a life flight crew took over... To read about it, click here. --Polar explorer Lonnie Dupre is back in Alaska, hoping to make the first solo winter ascent of Mt. Hunter. Dupre made the first successful solo winter ascent of Denali in 2015. To read more, click here. --Climbing magazine has posted a list of their top ten most read climbing stories from 2016. To check out the list, click here. --And finally, some yahoo free soloed a route in North Carolina completely naked. To read more, click here. The Super-Eight, also known as the Figure-Eight-with-Bunny-Ears and the Double Loop Eight, is a very useful knot. It is commonly used to equalize two points with a rope. In other words, sometimes there are two pieces and you don't have a sling or a cord to equalize them, but you do have a rope. this particular knot will accomplish equalization. Following is a short video on how to tie the knot. Once the knot is tied, it is easily manipulated by adjusting the interior of the knot. This will allow one of the ears to move, changing the size. Ultimately, you will be able to adjust the ears to the desired length. The primary application of this knot is in institutional anchors for toprope site management. It is common for institutional anchors to be built with a static rope oriented like a giant v. Each end of the static rope is tied off to an object or to an anchor. It's common for one end to be tied off using a super-eight because it is a quick and easy knot that eliminates the use of a sling or cord. --Longtime Mt. Baker Ski Area employee, Randy Hook, 67, died of a heart attack at the ski area on Sunday. To read more, click here. --North Shore News is reporting that, "North Shore Rescue's first mission of 2017 came just days after the last search of 2016 ended in tragedy. After more than five days of scouring the gullies and drainages around Cypress Mountain for two lost snowshoers, the team's leadership and West Vancouver police made the decision to call off the search for Roy Tin Hou Lee and Chun Sek Lam on Friday." To read more, click here. --The Revelstoke Review is reporting that, "a forecaster for Avalanche Canada is advising people to be very careful when putting more than one person on a slope after a snowmobiler died in an avalanche near Valemount on Friday. RCMP say the avalanche took place in the Clemina area in the Monashee Mountains 20 kilometres southeast of Valemount on Dec. 30." To read more, click here. --Living Snoqualmie is reporting that SAR crews were very busy on Christmas day in the I-90 Corridor. 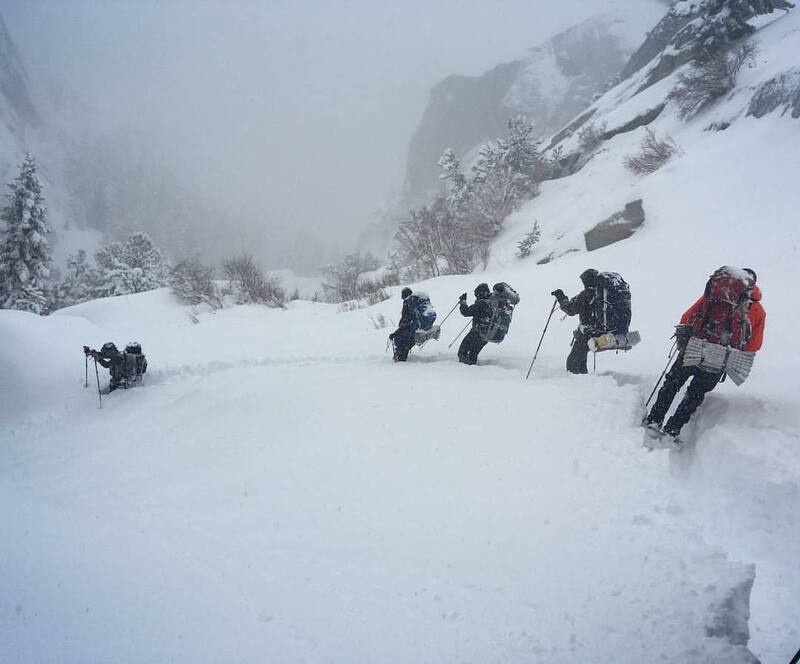 "While many of us were home enjoying Christmas Day, more than 50 King County Search and Rescue (KCSAR) volunteers spent much of the trudging through snow and water to help hikers in popular Snoqualmie Valley hiking spots." To read more, click here. 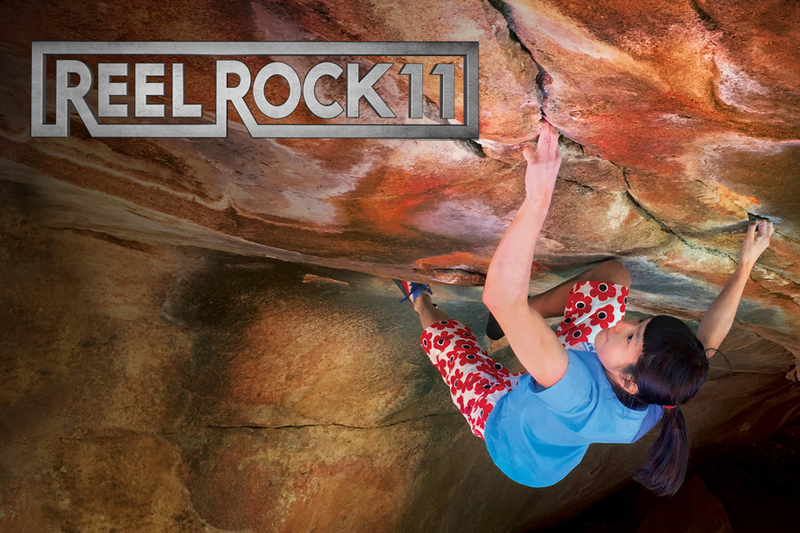 --Gripped is reporting that, "two weeks ago, Ethan Pringle went to Red Rock Canyon with some friends and discovered the crux sloper on Meadowlark Lemon V14 had been chipped." To read more, click here. --The designation of the Bears Ears National Monument last week was a major victory for Native Americans and outdoor recreationalists. But could the new administration reverse this decision. The unfortunate answer is, possibly. To read an article about this in OutsideOnline, click here. of weeks ago. Photo by Doug Foust. 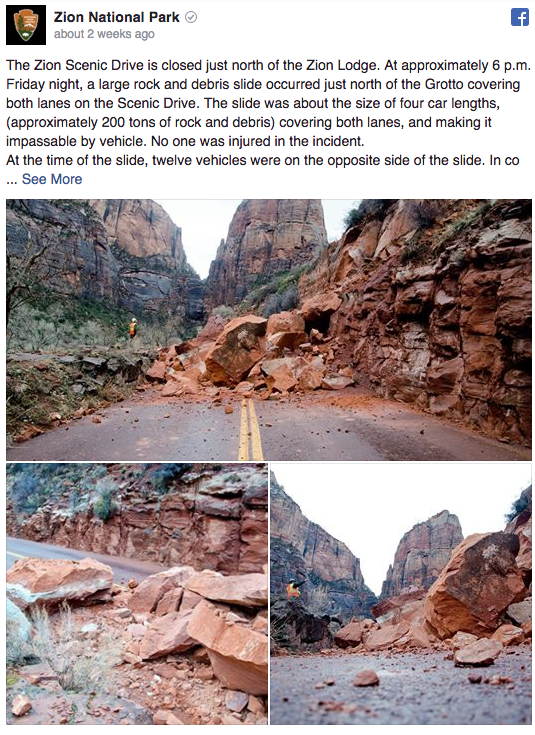 --Two weeks ago we reported on the damage done to the Red Rock Canyon sign. Now the BLM is offering a reward for anyone who can track down those behind the damage. To read more, click here. --Fox 31 Denver is reporting that, "The Summit County Sheriff's Office is asking for the public's help in finding a snowboarder who allegedly crashed into a skier at Keystone Resort. The skier, Jenny Elma, underwent surgery Tuesday night. Doctors said Elma's leg was broken in several places and one of her joints exploded. Doctors put 13 screws in her leg during a five-hour surgery." To read more, click here. --A lynx randomly showed up and wandered around Purgatory Ski Resort last week. This is a very rare animal and several people took videos and photos of it. To read more, click here. --9 News is reporting that Copper Ridge has a new system to deal with avalanches. The avalanche roller breaks down hidden slabs before avalanches can do it. To read more, click here. --A 24-year old man was killed when he struck a tree at Utah's Snowbasin Resort last week. To read more, click here. --CBC News is reporting that, "An ice climber has been flown by STARS air ambulance to hospital from Kananaskis country after suffering injuries to her head, neck and shoulders from falling ice." To read more, click here. --WHEC is reporting that, "For the second time in two weeks, a skier captured video of a child dangling from a chairlift at Utah's Sundance Mountain Resort. 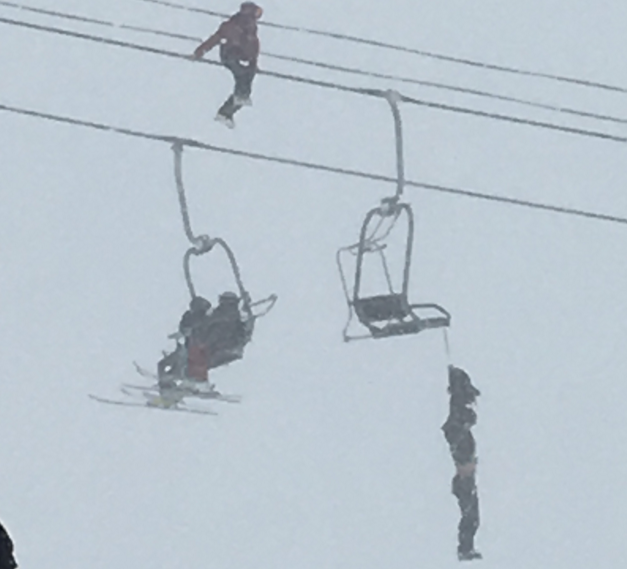 On Monday afternoon, a young boy skiing with friends was snagged by the moving chairlift. By all accounts, the roughly 10-year-old child, who was not injured, remained calm through the ordeal." To read more, click here. --The New York Times recently ran an article about the human factor in avalanches. To read the article, click here. --CNN has an article online about Danny Levitt, a high altitude expert, and her research on the Sherpa people and how they deal with altitude. "Presenting her findings at the World Extreme Medicine Expo in London, last month, Levett identified differences in the parts of human cells that respire to generate energy -- known as mitochondria. The Sherpas' mitochondria were much more efficient at using oxygen. 'They're like a fuel-efficient car,' said Levett. 'You get more energy for less oxygen.' In addition, the team studied blood vessels under the tongue and other locations in the body, to monitor blood circulation within the organs -- known as the microcirculation. This form of blood circulation occurs in the smallest blood vessels and determines how well oxygen reaches muscles, tissues and organs -- so how well your body actually functions. At high altitude, the blood flow within these small blood vessels was found to slow down in the non-Sherpa volunteers, but remained normal in Sherpas." To read more, click here. --Molly Absolon has an excellent piece on the underreporting of avalanches in the Jackson Hole News and Guide. Her article was predicated by the possibility that a skier triggered an avalanche that hit a car last week. Nobody has come forward to take responsibility, which isn't surprising because it appeared that the villagers were grabbing their pitchforks and looking for blood... Molly notes that we can learn from non-fatal avalanches and that they should be reported more often. To read the article, click here. --The Mercury News argues that National Monuments drive economic growth. As entrepreneurs and venture capitalists, we welcome the permanent protection of these monuments, not only because it will help ensure the longevity of irreplaceable American natural and cultural treasures, but also because of the economic opportunities the monuments will help to inspire among entrepreneurial companies throughout the country." To read more, click here. --The Casper Star Tribune is reporting that, "Wyoming ski areas would receive new protection from lawsuits under a proposed bill coming to the Legislature in January. The Ski Safety Act would protect ski areas from liability where a skier is injured as a result of 'the inherent risks in skiing.' Inherent risks listed in the legislation include weather and snow conditions, crashing into ski area infrastructure, wildlife, trees or rocks, collisions with a ski area snowmobile and injuries from skiing on terrain created by ski areas including jumps." To read more, click here. NOTE: Technical rope rescue is a discipline that is heavily informed by climbing, but its systems are commonly not used by climbers. Technical rescue often relys on equipment that climbers do not have, like static ropes and large pulley systems. Technical rescue systems are commonly used by mountain rescue teams, fire fighters and industrial rescue teams. 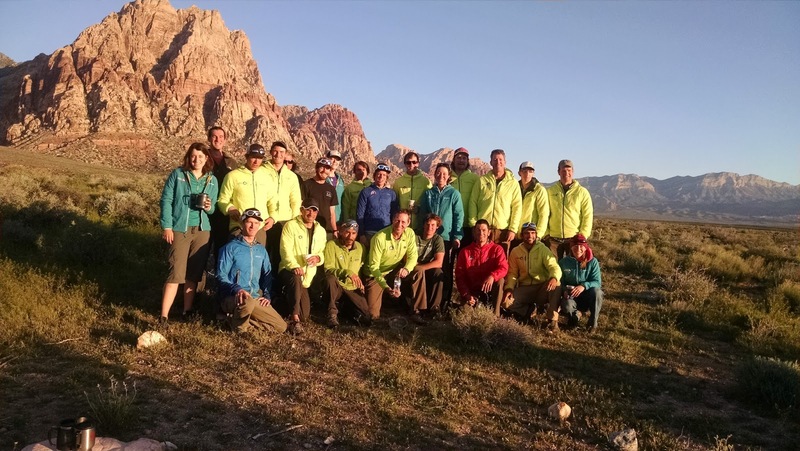 To learn more about technical rescue programs offered by the American Alpine Institute, click here. Modern technical rope rescue systems are dominated by two rope systems. Commonly a system will have a line that is delineated as a main line, and a line that is deliniated as a belay line. However, over last few years many rope rescue researchers have been looking at a system that eliminates the concept of the main and the belay. New research indicates that it's better to treat both lines the exact same way. These systems, commonly referred to as "mirrored systems" are officially known as two tensioned rope systems. The two tensioned rope system decreases that fall dramatically. The following video was designed to introduce the two tensioned rope system to experienced rescuers. Transition from one system to another is incredibly hard for a rescue team. Many people are deeply invested in the way things have been done in the past. However, there is a lot of legitimacy in rescue teams experimenting with this system.